It was good when we 1st movedsubmitted by John T. - Mar 25, 2019 |Recommended: YesWhen we 1st moved it was good but there’s been a lot of new people moving in that are very dirty. There’s dog poop all over and these people just throw garbage on the stairs. It’s not the property it’s the nasty people that live here that’s going to start bringing this beautiful property down. Awesome place to livesubmitted by Latoshia K. - Mar 21, 2019 |Recommended: YesVery peaceful, pet friendly and great staff. Great Apartment Experiencesubmitted by Heather D. - Mar 01, 2019 |Recommended: YesI've lived in several apartment complexes, and this is the best so far. The buildings and grounds are nice. Maintenance and office staff are very friendly. Only real complaints are I have one noisy messy neighbor, I wish the trash compactor was emptied more often especially when it's warmer out , and I wish there was some upkeep within the building breezeways. Great place to livesubmitted by Daniel C. - Mar 01, 2019 |Recommended: YesMy only complaint is that no matter how high we turn our heat up it is still cold. Noisy neighborssubmitted by Vernell J. 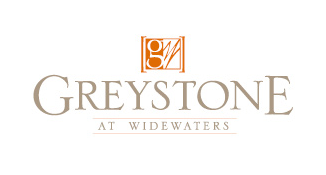 - Feb 24, 2019 |Recommended: NoI enjoy living at Greystone the staff is very pleasant but when it comes to neighbors being noisy after the 10 00 pm at night the management office says there is nothing they can do about the noise. Water rates are higher than other apartment complexes. Other than noisy neighbors who are disrespectful to the people around thethem it’s a great place to live. I will be re-newing my lease for 6 months would have been longer but I don’t think I can continue to pay the money I pay for the noise above me I’ll be in the process of looking for something else. Meets Expectationssubmitted by Markus W. - Jan 28, 2019 |Recommended: YesGreat floor plans and grounds. Excellent amenities. Outstanding staff. I think property management is okaysubmitted by Maria A. - Jan 21, 2019 |Recommended: NoI think the price is entirely over priced too have to wait 2 weeks to get my toilet fixed. Great submitted by Tammy B. - May 30, 2018 |Recommended: YesIt feels like home. Nice and quiet next to the Greenway trail systemsubmitted by Javier D. - May 22, 2018 |Recommended: YesThese apartments are located near a shopping plaza with good selection of supermarkets and restaurants. Easy access to the 540 and near Raleigh without the traffic. For me the main feature is the easy access to the Greenway bike path and easy commute to work.